Coach Mike Kirk began coaching at the Rising Star Baseball Camp in the summer of 2011. 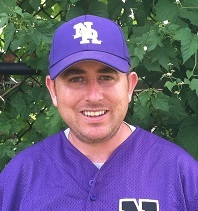 As an elementary teacher in the New Rochelle School District and assistant varsity baseball coach, Coach Kirk has experience working with athletes from various age groups. Previous to coaching at New Rochelle HS, Kirk was the junior varsity baseball coach at Fordham Prep in Bronx, NY for three seasons and the assistant varsity coach of the Rams for four years. In turn, Coach Kirk works with campers from all field levels throughout the summer. Kirk resides with his wife in Lagrange, New York.